Dr. Chad Swanson is looking for a committed volunteer who is willing to spend 5-10 hours a week during the coming months following the development of the US government’s “Global Health Initiative” within the context of health systems strengthening, and summarizing those developments in weekly briefs. The current dynamic global health policy enviornment provides a unique opportunity to study and shape policy. More information on the Global Health Initiative can be found here: http://www.pepfar.gov/ghi/index.htm and here: http://www.globalhealth.org/view_top.php3?id=1033. 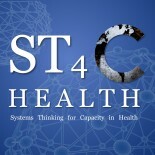 Dr. Swanson has been leading a working group of over 50 global health professionals on health systems strengthening (HSS) over the past year and a half. This group has been considering how global health activities impact existing health systems in low-income countries, calling for health systems impact assessments, and drafting a consensus on HSS. For details on the group’s activities, see this blog: https://ghsia.wordpress.com/. * This is not a paid position, and there will be no formal contract. * While the candidate will be expected to spend between 5 and 10 hours a week researching and writing, there will be no set schedule. If the candidate is able to spend more time initially (20-40 hours the first 1-2 weeks), that will be advantageous. * Reliable, regular internet access is mandatory. * Consistent, reliable reporting will be expected, and will include brief (2 sentences) informal updates by email every other day, and weekly formal reports (1-2 pages). * While global health policy background is advantageous, it is not required. A high level of interest and commitment are more important than knowledge. * Publication in a peer-reviewed academic journal is anticipated. * Living in the Washington, DC area is advantageous, but not required. * A BRIEF (one paragraph) letter of intent summarizing experience and level of interest. * 2 references. Please have the candidates’ references send their letters by email, and have them comment on the individual’s ability to work independently, reliably keep deadlines, and see a project through to the end. * Once all of the above items have been received, the candidate will be interviewed by phone. This position will be filled as soon as possible (likely within the next week), so time is of the essence. Questions can be sent to swancitos@gmail.com. Due to time constraints, questions from candidates that have sent all of the required documents will be given highest priority. This entry was posted on February 10, 2010 by chads in Announcements.